Dc006bw is Lilladisplay’s best selling display cubes set with cut-out sides offering visibility from every angle – ideal for in-store displays. The Cut-out circles of DC006BW could give customers a glimpse of the items inside and give you option to let things poke through. 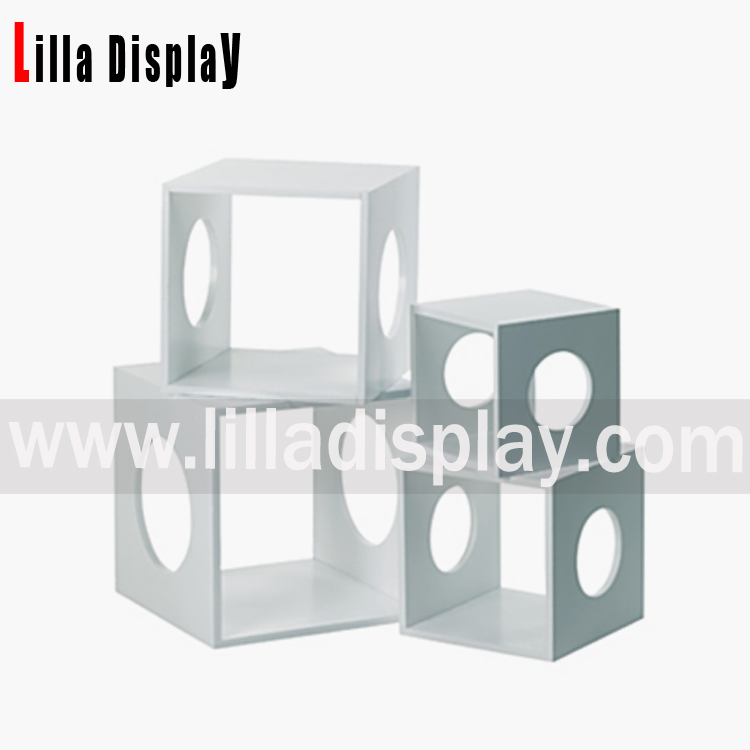 Different display cubes sizes of DC006BW for your choice according to y our stores layout. 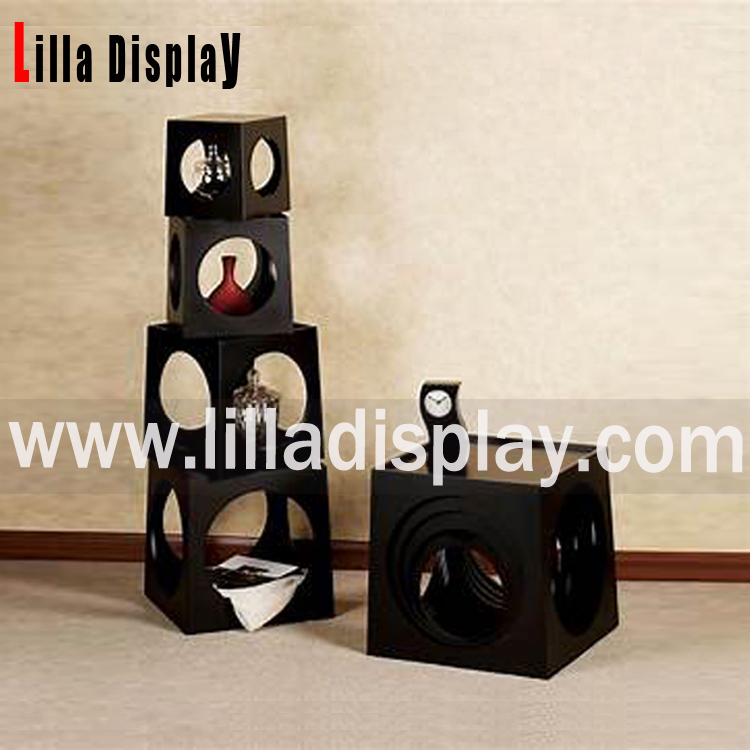 Display cubes sizes could be customized.